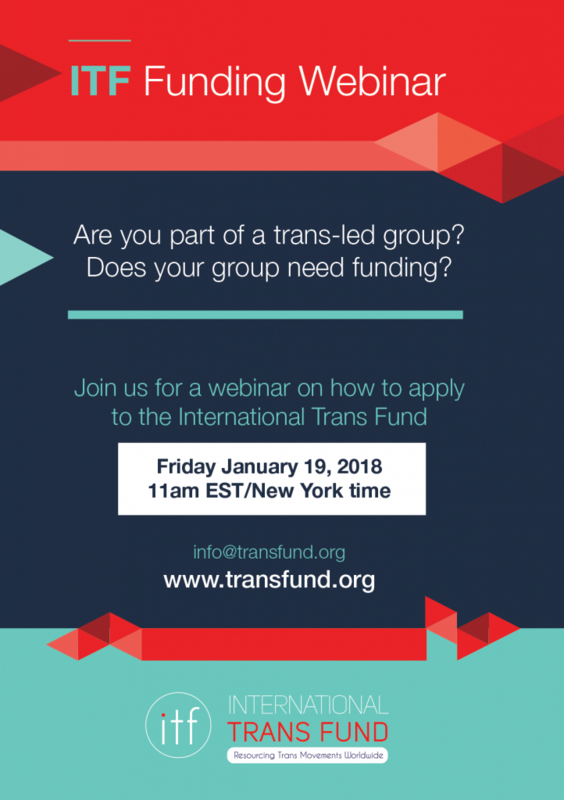 The ITF invites trans-led groups from across the globe to join us for a webinar on how to apply to ITF’s second grantmaking cycle. We will share information about the eligibility criteria, funding priorities and the grantmaking process. We will also give tips on how to write a strong and competitive application. There will be an interactive Q & A. The webinar will take place on January 19, 2018 at 11am EST (New York time). Please note this is an English language webinar. Registration is free and open to everyone. Just click here for more information.